Callaway Gardens is a golf resort in Pine Mountain, Georgia. The resort is home to three excellent golf courses, offers a variety of other activities including tennis, fishing, cycling, beach and lake activities, spas, and of course shopping. 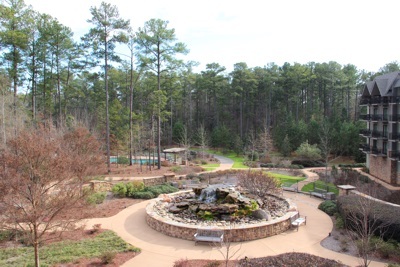 During your stay at Callaway Gardens, there is a choice of different types of lodgings: cottages, villas, the Mountain Creek Inn, as well as the newest addition to the resort, The Lodge and Spa at Callaway Gardens. See website for address details.